Charles Chocolates Coming Soon. Very Soon. The patio at Charles Chocolates. Photo: Dana Massey-Todd. © tablehopper.com. 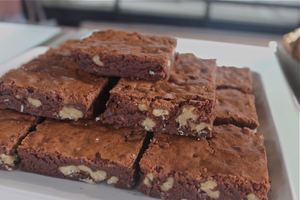 The amazing brownie. Photo: Dana Massey-Todd. © tablehopper.com. 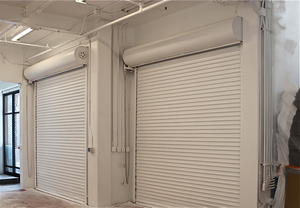 The view of the roll-up doors from the kitchen. 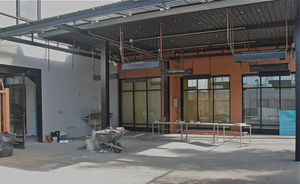 When open, patiogoers will be able to watch the magic happen. Photo: Dana Massey-Todd. © tablehopper.com. A report from Dana Massey-Todd. 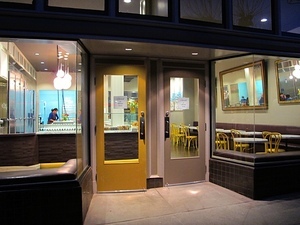 As previously reported on tablehopper, the wonderful candymaker Chuck Siegel is back in action, this time in the Mission. His new location for ~CHARLES CHOCOLATES~ is on Florida Street in the former Potrero Brewing Co. space, just down the way from the new Heath Ceramics location. I had a chance to tour the space, and it’s going to be quite the chocolate temple. 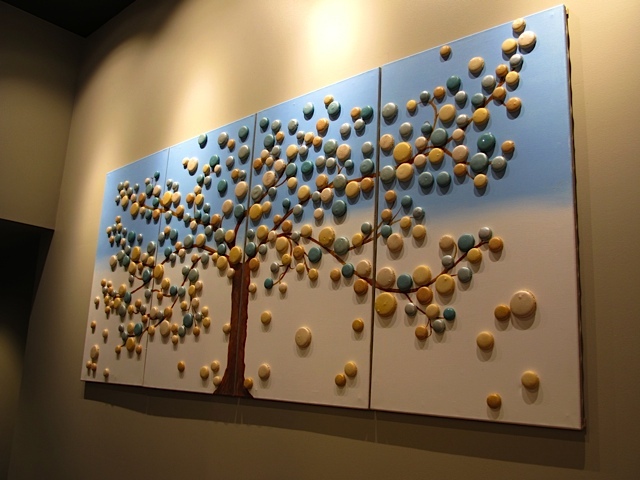 It will serve as his kitchen and factory for producing treats, like his triple chocolate almonds, pavé squares, and truffles. Plus, there will also be a retail area with heated patio seating where you can sit and enjoy tea and hot chocolate, in addition to pastries like brownies and cookies. Siegel is excited about this space because its large size opens up a lot of possibilities. The emphasis here is on the exhibition kitchen. When you walk in, you will be greeted by glass walls that showcase the chocolate magic happening within, and then you can order your treats at the retail counter. Siegel scored some wrought-iron and glass shelving from the Betsey Johnson boutique on Fillmore Street, which will provide additional display storage. 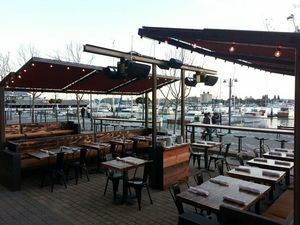 On the patio you’ll find picnic benches under heaters for enjoying beverages and pastries, plus roll-up doors that, when open, will show more kitchen space behind large glass windows. On the menu are his s’mores, which are made entirely in-house and broiled to order for perfect marshmallow caramelization, plus cookies, brownies, and frozen push pops. All of the chocolates are made from the best raw ingredients Siegel can find and are produced from scratch, whether that means candying their own citrus peel or roasting their own nuts or brandying their own cherries. Right now, there is still some work to do before the space is ready. There is some painting to complete, and an epoxy floor that needs to fully cure before all the equipment can be moved into the kitchen. Once that’s done, it’s just a matter of getting through inspections and then they can open. Siegel is hoping to be ready to go in a few weeks. To start, they’ll be open every day, 11am-7pm, with special events coming in the future. 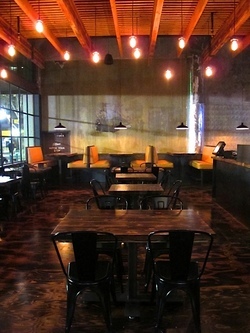 The space will also be available for private events. 535 Florida St. at Mariposa. 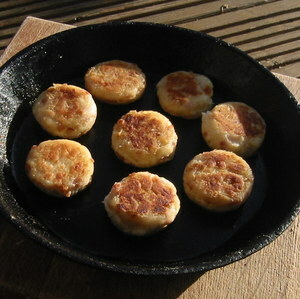 Tattie scones (made by McQuade’s sister Marie—photo via her blog). I was happy to learn Alison McQuade of McQuade’s Celtic Chutneys is on the hunt to open up a Scottish café called ~THE BUT ‘N BEN~ (it’s Scottish for “a little cottage”). It will be open for breakfast and lunch, serving everything from potato scones with a variety of fillings (like bacon, cheese, and more) to tablet (which is like fudge, but in a variety of flavors), plus soups (like smoked haddock chowder), kippers, and yes, there will be haggis. I know, such a unique offering! I am so into this. She is currently scouting for a location in Lower Nob Hill, where she lives, but is planning on some pop-ups in the coming months. If anyone knows of a café space that’s available, she’d love any leads—you can reach her here. XLB at Xiao Long Bao. Yelp photo by ALan L.
Some news bits around town for you. First, some details are coming out about what’s moving into the former Bia’s in the Upper Haight: according to Uppercasing, it’s going to be ~SPARROW BAR AND KITCHEN~. There are a lot of details on the website, starting with the news that Ola Fendert (Oola) is consulting on the modern American menu. There are sample menus for brunch (buckwheat waffles, a variety of egg dishes), lunch (sandwiches like buttermilk fried chicken, a bean burger), and dinner (oysters, roasted quail stuffed with Swiss chard and pine nuts, ricotta-spinach ravioli, and a burger). Craft beers, local ingredients, and music are also mentioned. Sounds like the couple (simply referred to on the site as Marc and Veronica) are going for a March opening. 1640 Haight St. at Clayton. 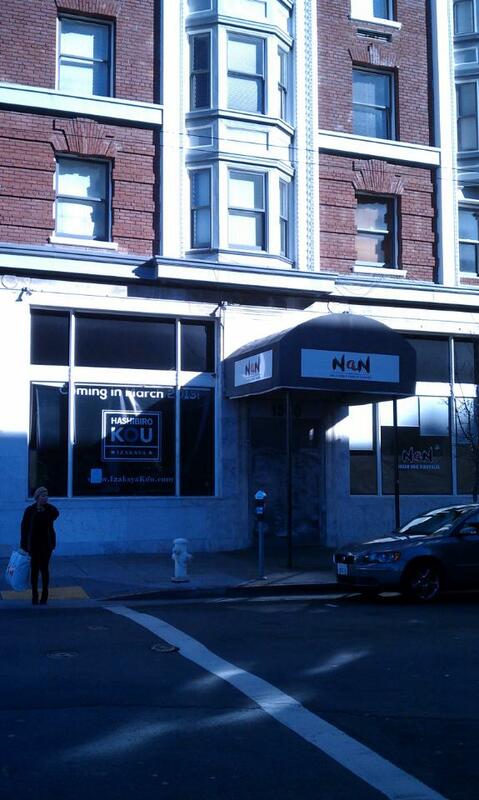 Over the weekend, tablehopper tipster Jason B. sent me a pic showing that late-night Korean spot Nan California Korean Kitchen has closed, and the new signage announces ~HASHIBORO KOU~ opening in March. 1560 Fillmore St. at Geary. 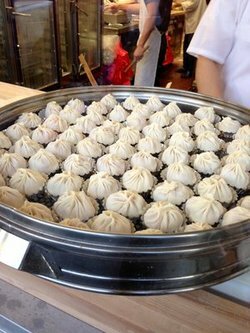 Chowhound mentions a new dumpling place on Clement with the hopeful name of ~XIAO LONG BAO~, but initial Yelp reviews are not too fired up on the quality (all will be revealed in time!). 625 Clement St. at 7th Ave., 415-666-3998. Alas, as previously mentioned, ~THAI PLACE II~ has changed into ~SA-BEANG THAI~, and Haighteration announces there’s a new and expanded menu under the new ownership. (Here’s hoping they still make a delicious Thai chicken dish and beef ball soup. Change is hard!) Open Sun-Thu 11am-10:30pm and until 11pm Fri-Sat. 312 Divisadero St. at Page. Grub Street mentions a new fast-casual spot focused on using quality, seasonal ingredients coming to Spear Street: ~ALMANAC~, due to open April 1st. Bring on the farro salads! Stand by for more. 180 Spear St. at Howard. 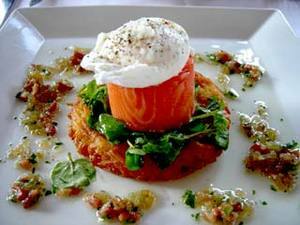 One Market’s Tasmanian ocean trout “mi cuit.” Photo: © tablehopper.com. 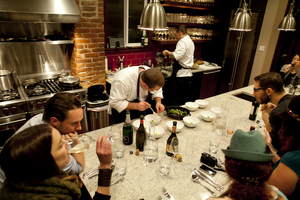 Dining at the kitchen counter at Naked Kitchen (photo by Guru Khalsa). Catch some celebratory meals this month from these spots around town. First up is ~ONE MARKET~, which will be serving special menus to celebrate the restaurant’s 20th anniversary. At lunch you can get a three-course menu for $25, and at dinner it’s four courses for $39. All of the menu items are highlights from a different year of the restaurant’s operation, like duck prepared à la 2004 at dinner or a dish of chef Mark Dommen’s that I forever obsess about: the lightly smoked Tasmanian ocean trout “mi cuit” with potato rösti, pastured egg, and pancetta vinaigrette (2006). To drink, you can get the 20/20, a Manhattan made with Hirsch Selection Special Reserve 20-year-old American whiskey for $20. They’ll have special wines from the 1993 vintage too. The special menus are available Feb 1st-28th, at lunch Mon-Fri 11:30am-2pm and dinner Mon-Sat 5:30pm-9pm. 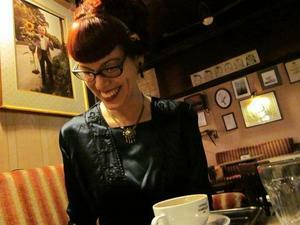 You’re probably (rightfully) very excited about Michelle Polzine’s new project, ~20TH CENTURY CAFE~. If you just can’t wait until the spring opening, you’re in luck because Polzine will be selling some of her pastries (think knish, rugelach, tortes, and tarts) bake sale-style on Sundays at ~STATE BIRD PROVISIONS~, along with coffee and jars of jam to take home. You can catch the treats Feb. 3rd, Feb. 10th, Feb. 24th, and March 3rd from 11am-2pm. 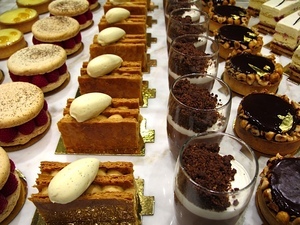 ~TOUT SWEET PÂTISSERIE~ is now offering a three-course dessert tasting menu, on the second Thursday of every month. The tastings, called Tastings@Tout Sweet, feature three courses of seasonal desserts from Yigit Pura, each paired with local wine and beer. The next tastings are February 14th, March 14th, and April 11th, from 7pm-8:30pm and cost $55 per person, including a gift to take home. 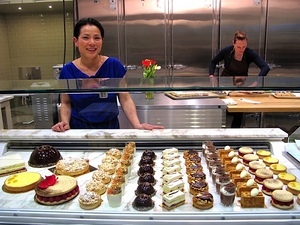 Reservations are recommended and can be made by calling the pâtisserie. Macy’s Union Square, 170 O’Farrell St., 3rd floor, 415-385-1679. On Sunday February 10th, check out a special five-course tasting menu from chef Keven Wilson (Perbacco, RN74) and his ReFormation Foods at ~NAKED KITCHEN~. Tickets to the dinner do not include gratuity and cost $75 per person for communal table seating and BYO, or $125 per person for seating at the chef’s table, which includes wine pairings from Claudio Villani (Perbacco). I was just at a Naked Kitchen event last weekend, and dining in the kitchen is a lot of fun. Take a look at the menu and get your tickets here. 945 Valencia St. at 20th St.
A selection of Peko-Peko bento boxes. Photo: © tablehopper.com. Have you been wanting to try one of Sylvan Mishima Brackett of Peko-Peko’s bento boxes, the ones that he’s been delivering to Umami Mart in Oakland? 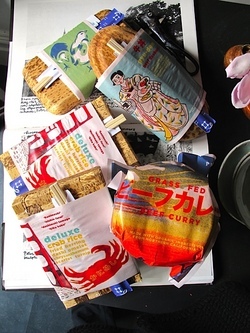 I was cruising through Hayes Valley last week and discovered the fabulous Louesa flower shop (which is also full of artsy objets) receives a delivery of the bento boxes around 11:45am (they last until 3pm or so), on Thursdays only. There’s one I tried with Riverdog Farm chicken karaage, with a soy egg, greens rice, and chicken snowy cabbage, or the deluxe crab rice, with fried herring, an ethereal dashi omelet, and chrysanthemum scarlet turnip. There can be a variety of five or so to choose from (click the names to check them out here); they’re made with organic and well-sourced ingredients, gorgeous, and smartly wrapped in oh-so-cool custom labels. You feel good and clean after eating it. That’s my idea of a box lunch! I’m so going back for the pork katsu and vegetable curry. $13-$19. Laguna between Hayes and Linden. Das Bucket at Maverick; photo courtesy of the restaurant. I know, just what you need: more fried chicken in your life. 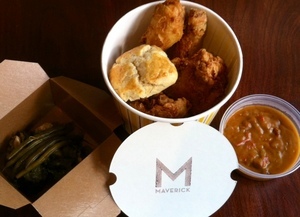 On Mondays, ~MAVERICK~ is offering a bucket to go (big enough for two)! It comes with half of a Mary’s Organic Chicken, two sides (roasted escarole and pickled green beans), gravy, and a biscuit (yeah, you’re gonna have to fight over the biscuit). $25, swing by from 5:30pm-7:30pm on Mondays to pick one up. 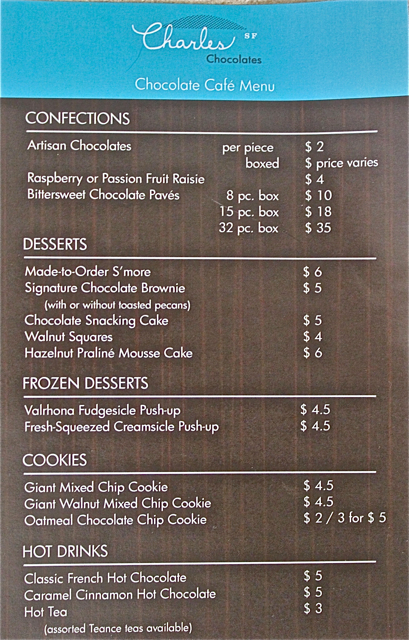 Orders can be made by phone starting at 4:30pm; call 415-863-3061. Limited to 20 orders. 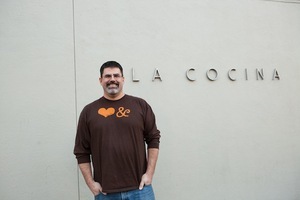 The ever-beaming Matt Skov (photo courtesy of La Cocina). I was so crushed to learn via a tablehopper reader last week that Matt Skov of La Cocina passed away on January 21st after fighting a rare form of cancer. He was just 42. I used to work with Matt’s wife, Christa, back in my advertising days, and fondly remember the day when she invited me to join her for a special farewell lunch at Campton Place—where he worked—before their move to Colorado. Over the years, I happily followed their return to San Francisco, where his path landed him as the owner of Ella’s and Blue Fog Market, and then as the kitchen and facilities manager at La Cocina. He was a good man, earning the name “Papa Matt” while at La Cocina, if that tells you something about the kind of person he was. (You can read their tribute to him here.) He was a mentor for many. My heart breaks for his wife and children, Abby and Izzy, his family and friends, and everyone he worked with and touched; this is such a sad, horrible loss and tragedy. There will be a memorial service on Saturday February 2nd at 3pm at the Mill Valley Community Center, 180 Camino Alto, Mill Valley—you can read more here and on the Team Skov page on Facebook. The family suggests memorial contributions in Matt’s memory to the Dana-Farber Cancer Institute, Division of Development, 10 Brookline Place 6th Floor, Brookline, MA 02445 in support of the NUT Midline Carcinoma Research Fund; or to La Cocina, 2948 Folsom St., San Francisco, CA 94110, in support of the Matt Skov Memorial Award, to be given annually to one deserving woman in pursuit of her culinary dreams. Volunteers for Food Runners pick up a donation. Photo courtesy Food Runners. San Francisco is a pretty dreamy place to live, the kind of place where many residents have a preferred vendor of locally roasted coffee, and the difference between white and black truffles is widely known. But not everyone in San Francisco is in a situation to enjoy these luxuries. ~FOOD RUNNERS~, an organization started by Tante Marie’s Mary Risley 25 years ago, takes excess prepared and perishable foods from restaurants and delivers it to area shelters. 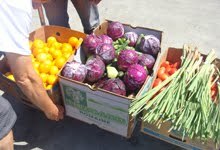 Many local restaurants participate, as do farmers’ markets, grocery stores, food photographers, and event planners. 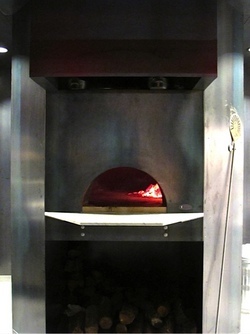 In fact, Le Colonial, Kokkari, Rose Pistola, 25 Lusk, Delfina, and Piperade all cook “planned overages” of freshly cooked food each week for a number of local agencies, like Larkin Street Youth Services. Yup, that’s generous. If your business has prepared or perishable items you would otherwise throw away, give Food Runners a call and they will pick up your items for free. For guidelines on how to donate, go here. 415-929-1866. Some of the staff at Old Skool Cafe. Photo courtesy Old Skool Cafe. The awesome Bayview restaurant ~OLD SKOOL CAFE~, which is run by at-risk youth, is now working with Carrotmob (no relation to Carrot Top—uh, scary) to provide its staff with a college scholarship fund. All you have to do is visit Carrotmob’s Old Skool campaign website and buy a $25 voucher (buy as many as you want!). You can use the voucher anytime at Old Skool Cafe, and 15 percent will be put aside into a college scholarship fund for the staff. If you haven’t checked out Old Skool yet, you can take a look at the menu here. Maybe it’s time to head over for brunch, and help some kids out in the process. 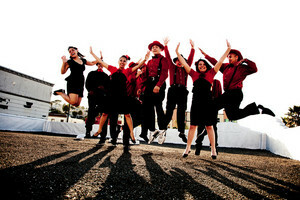 1429 Mendell St. (3rd St. and Oakdale/Palou), 415-822-8531. 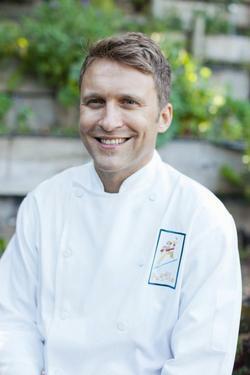 Chef Peter McNee. Photo via Facebook. I was surprised to read in the Scoop that chef Peter McNee is leaving ~POGGIO~ after seven years—seems he is looking for his own new place and is considering San Francisco for the location (which makes me happy, because the guy is mega talented). His last day is February 3rd; taking his place will be Ben Balesteri, who is currently the senior sous chef. 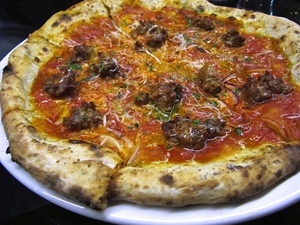 Farther north, Scoop reports ~VIN ANTICO~ in San Rafael has closed after six years. 881 4th St. at Lootens, San Rafael. 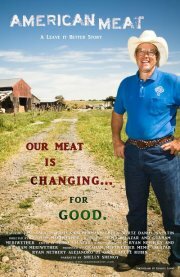 On Monday February 4th, catch a free screening of a new documentary on farming, American Meat. The film takes a look at meat production, and asks whether or not sustainable farming methods could work on a large scale in this country. It starts at 6pm, with a limited number of free burritos from Chipotle, followed by the screening at 7pm. After the film, local urban farmer and author Novella Carpenter (author of Farm City) will lead a panel discussion on the topic. For details on the panelists and to RSVP to the event, go here. Sibley Auditorium in the Bechtel Engineering Center, UC Berkeley.